Adrian attended Barnsley College of Art and Design in the 1980s studying both art and media, after being given a Praktica Nova camera whilst on a family holiday in North Wales – he was immediately addicted. Always being behind the camera, Adrian was endlessly asked ‘why don’t you do this for a living?’, but never took the suggestion seriously. He always sought to improve and acquire new skills, be that within music, photography, writing or film. As a main career Adrian went into IT, running his own successful maintenance company for 14 years until tragedy struck with the loss of his business partner and brother-in-law. After a long hard look at his life Adrian decided to bite the bullet and start up Picturistic Creative Photography. Running a business is second nature to Adrian, but one involving photography has involved a steep learning curve, but one he has finally conquered with the help of close friends and family. Picturistic Creative Photography soon gave way to Adrian’s passion for both sea and landscapes, a new dedicated site was created in his name. In 2009 he joined the BIPP and with help from mentor Alan Stone gained his LBIPP qualification in August 2010. In addition, Adrian attended several BIPP courses notably Alan Stone Commercial Photography and ultimately a day with renowned British landscape photographer Joe Cornish. This meeting cemented Adrian’s desire to become a credible landscape photographic artist. 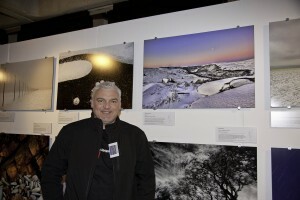 This year has seen Adrian’s work published in Mosaic magazine, and he has had three successful exhibitions with sales going around the globe as far as Australia with images depicting the Peak District and East Coast of Britain. Adrian’s love of the sea has won him several commissions and his love affair with North Wales has seen his work published in the Anglesey magazine Swn y Mor all quite an achievement for a Yorkshire man! 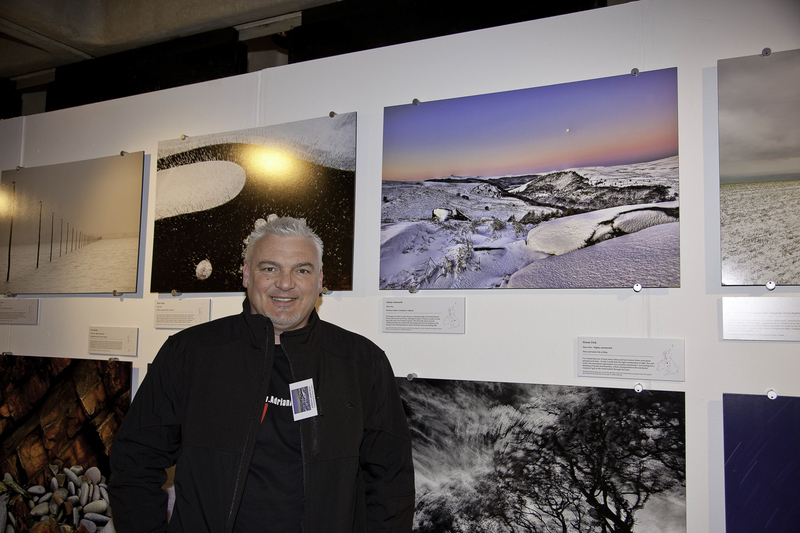 This year has seen Adrian commended in the annual Landscape Photographer of The Year 2010, the brain child of award founder and landscape photographer Charlie Waite. His image ‘Hordron Rainbow’ entered into the prestigious and highly demanding Your View category was displayed as a print in the National Theatre Exhibition January 2011, and was part of a postcard pack too. It is also published in The AA Landscape Photographer of The Year 2010 receiving the only double page allocation and has been requested by Saga magazine for their forthcoming issue. Furthermore, Adrian’s image has appeared on numerous websites notably – of all things – BBC Brazil, along with ten other images from winners. Over recent weeks Adrian has been the professional photographer for Barnsley Metropolitan Borough Council with shoots including a world record attempt for Portrait Barnsley, the Christmas Lights turn on and German Markets, escorting the Mayoress on walkabouts and covering music events in the Borough. Adrian is recognised as a great talent when covering music events and has a few high brow rock concerts to cover mid 2011. details to follow. His Llyn Gwynant image has been requested by The Woodland Trust to be its centre double page for their forthcoming Jubilee Woods Donation Booklet, a great honour indeed. 7th December 2011, Adrian has just been awarded the Associate level of the British Institute of Professional Photographers (ABIPP), a very proud moment in deed as this is one of the hardest accreditation’s to achieve and will see Adrian’s career as Photographer and Tutor really take off in 2012, bookings already in for several months in The Peaks and Sescapes workshops. 17th Jan 2012, Adrian has just been awarded the Associate level of the Royal Photographic Society (ARPS), again this is a very proud accreditation to have achieved and hand in hand with the ABIPP will help Adrian create an outstanding future in photography. Adrian has just been the official photographer for Rhosneigr, Anglesey Jubilee committee creating a permanent record and snap shot in time of this beautiful village closely linked with the Royal Family. The shoot was over the long bank holiday weekend and Adrian’s images are on the Jubilee website as well as images appearing in “My Weekly” magazine’s special jubilee issue. Adrian’s work is constantly evolving and he is now also providing a video service ideally suited to the web sales market, this medium is set to be every bit as important at TV advertising by 2017 and Adrian is making sure his port folio and capabilities are in readiness for this venture. Adrian is extremely proud and honoured to be awarded the Fellowship qualification to the British Institute of Professional Photographers 10th March 2015, The ‘F’ is a great accolade to achieve and shows the level of commitment an exceptional degree of quality, care and dedication that is put into creating an image whether it be personal or client based. Adrian’s exhibition “Somewhere in Time” dedicated to people living with Dementia has received fantastic reviews from its showing at the Barnsley Civic, it was extended a few more weeks. It will be shown a at The Houses of Parliament in late 2017 and talks are currently taking place to have it exhibited at Sheffield Town Hall. A video has been produced by Adrian showing the exhibition and featuring good friend Dan Jarvis MP along with poignant quotes from Adrian, Dan Jarvis and Dr Claire Craig.